Plants & Flowers » Nymphaea spp. Nymphaea spp. are beatiful plants. Winth both their foliage and flowers floating gracefully on a pond, they add a lot of charm and character to water garden, flowering from October to May. Uses: Nymphaea spp. add interest, clolour and charm to any water features. 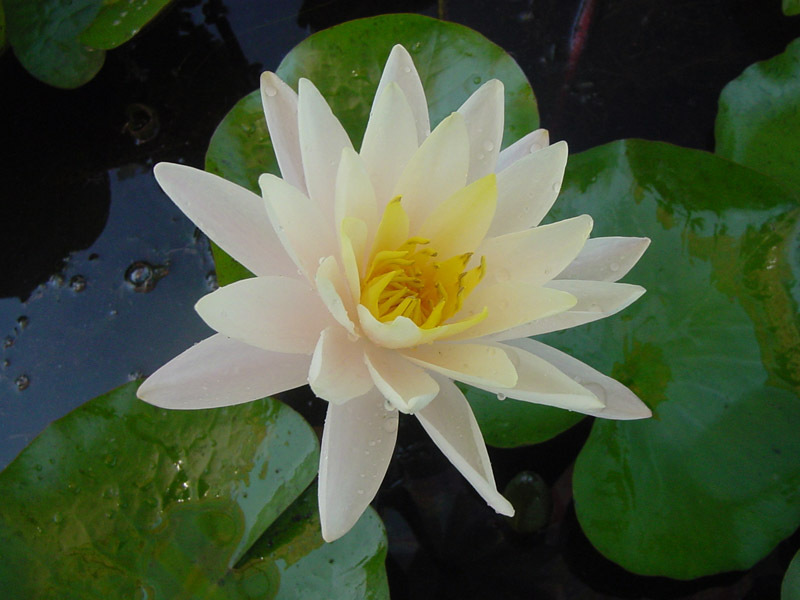 Position: Nymphaea spp. require at least 45cm of water to grow in and will grow up to 1.8m deep. Will tolerate some shade for part of the day, but for best flowering, 5 hours of sun is required daily. Care: Plant the tubers in a tub or low bucket that is filled with soil that has had a couple of handfuls of blood and bone or complete fertilizer mixed through. Lift and divide the plants every one or two years and re-fertilize.